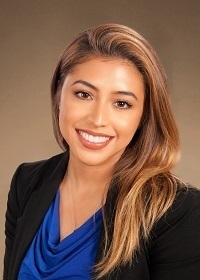 Stephanie M. Morales is a wealth management sales associate with Tompkins Financial Advisors. She has eight years of financial services experience, including a previous position with Key Private Bank. Stephanie works closely with our wealth advisors, providing clients with ongoing support and delivering an unrivaled client experience. This includes the preparation of performance reports, account maintenance and day-to-day client service, as well as processing new business. Stephanie has a bachelor’s degree in business economics/law and justice from the State University of New York Cortland and a master’s in business administration from Mercy College. Additionally, she completed FINRA Series 6, 63 and holds New York State Life and Health insurance licenses. She is a member of the Delta Mu Delta Business Honor Society and the Political Science Honorary Society - Pi Sigma Alpha and volunteers as a children's gymnastics instructor. Stephanie lives in Hopewell Junction with her family.